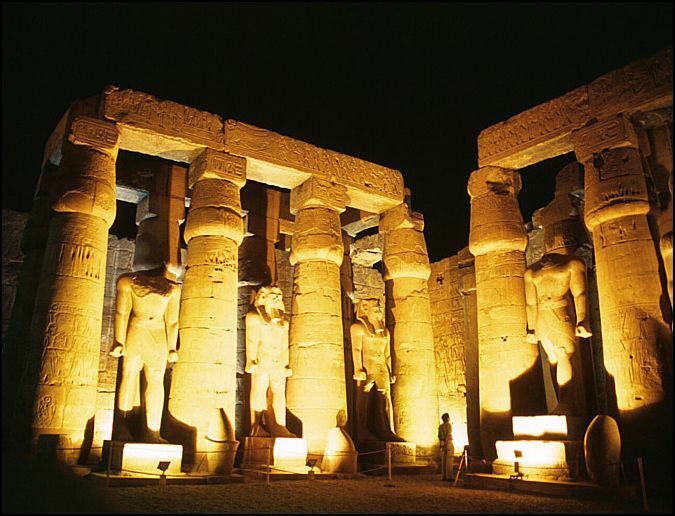 Though the 18th Dynasty was an age of unparalleled grandeur, it was also a period of transition. Old values were passing and new ones were emerging. The spirit of the age of glory, wealth and power. But, there was grave discontent among the upper classes. 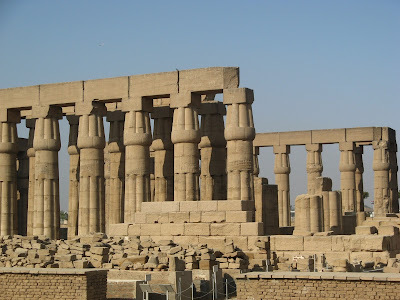 Though temples were built in honour of Amon-Ra by Hatshepsut, Thutmose III and Amenhotep III, there was criticism of the national god and the materialism of the priests who promoted his cult. Egypt’s tradition-bound intellectuals watched with apprehension the growing power of the priesthood that had elevated a once obscure deity to the rank of national god. It was in this atmosphere that Amenhotep IV (Akhenaten) grew up. His worship of a single god, the sun’s disc, the Aten, was both a revolution and an attempt to bring back a more purified form of sun worship (Chapter 4). The movement affected a small minority. The ideal of a religious community isolated at Tel el Amarna, and the practical requirements of governing an empire were not compatible. After the deaths of Akhenaten and his half-brother Smenkare, Tutankhaten came to the throne and the priests of Amon made a great spectacle of their return to power. Tutankhaten’s name was changed to Tutankhamon, and in an elaborate ceremony the young king appeared before the rejoicing public. Thebes had not known such pageantry for many years, and it was clear that the priests could hardly contain their pleasure. The city was bedecked with ribbons and flags. Standard-bearers marchcd in the streets. Dancers, singers, drummers and acrobats lined the banks of the river. The population came from miles around to hear that ‘Amon loved better than his son . . . Tutankhamon, he who satisfies all the gods’. The great and prosperous 18th Dynasty, which had started with such high hope under such pharaohs as Ahmose (who rid the country of the Hyksos), Thutmose III (who established an Egyptian empire) and Amenhotep III (who ruled the state at the peak of its glory), had ended in halting recovery from the religious movement of Akhenaten. Haremhab, the general who seized the throne at the end of the 18th Dynasty, was an excellent administrator who reestablished a strong government and started a programme of restoration. This was continued in the 19th Dynasty wrhen the pharaohs channelled their boundless energies into reorganising the army after its disastrous setbacks during Akhenaten’s rule. Seti I fought battles against the Libyans, Syrians and Hittites, and he raised large temples at Karnak, Kurna (on the necropolis of Thebes) and Abydos. 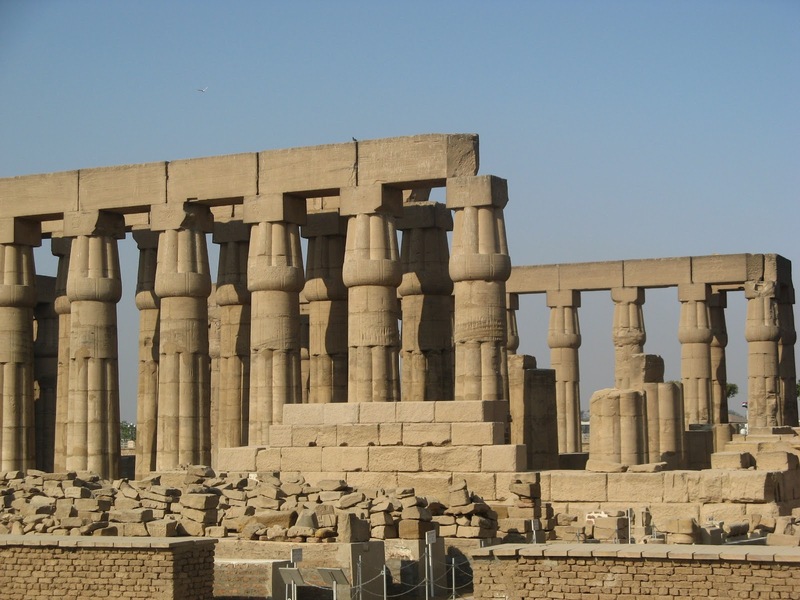 Ramses II waged wars against the Hittites, culminating in his well documented Battle of Kadesh. And Ramses III successfully protected his country from the ‘People of the Sea’ who were most probably Sardinians. 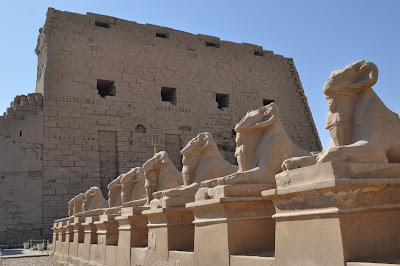 Though turning their attention to salvaging the empire, the pharaohs did not neglect national affairs. With wealth pouring into the state capital, they all tried to outdo one another in the magnificence of their monuments.